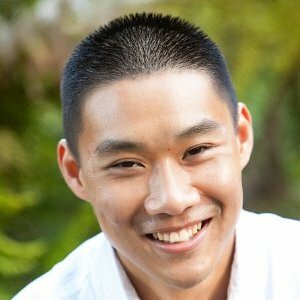 [William] - Hi Derick, I appreciate you taking some time out of your busy schedule to talk with us all the way from Hawaii 🙂 Before we get started, can you quickly introduce yourself? [Derick] - Sure William. My name is Derick Okihara, and I work for Mid-Pacific Institute. We are a private K-12 institution with about 1600 students. My role here is general IT and server administration. I've been working with computers since I was in high school. I have been a long time Apple user (since //gs), but really started working with them professionally about 10 years ago. We currently have a 1:1 iPad program for the students, and 2:1 iPad+laptops for faculty, so there's a lot of technology to support. [William] - That’s awesome Derick. Look forward to hearing more about your environment. Speaking of which, I hear you are currently managing some Apple hardware running on VMware? Could you tell us a little bit about the hardware configuration and the VMware software you are currently using? 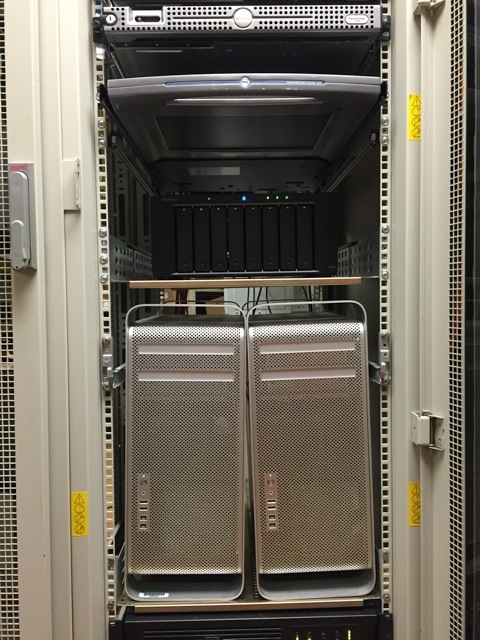 [Derick] - We are currently using vCenter with ESXi 5.5, we have 2 Mac Pro (5,1s) in a cluster with a Synology 1813+ shared storage. The network storage is connected via the iSCSI software initiator using round-robin. We also use VMware Fusion for the Mac. The Mac Pros have 24GB of RAM and 4 port Intel Gigabit Ethernet cards for a total of 6 ports each. [William] - What made you decide on using a Synology for shared storage and what configuration/capacity did you go with? Were there any other options you were looking at? [Derick] - A lot of the decisions for this setup was made on price. How this all started, was that I was asked to create an ESXi server to host a VM Appliance to run our campus wide Informacast speaker system. I had already been planning an ESXI deployment on the Mac, testing on Mac Mini. Instead of building a PC server just for this appliance, I was given the OK to build on an existing Mac Pro, so it could serve multiple purposes. Being forward thinking, I knew we needed redundancy, so I opted to go for network storage. With a tight budget, and being able to use CPUs we already had, I decided on the Synology 1813+ for it's 4 gigabit ports. This allowed me to later add the 2nd host in our vcenter cluster when we expanded. [William] - Can you talk a little bit about the type of workloads and applications you are currently virtualizing on the Mac Pro’s and are these all OSX VMs? [Derick] - Since this is still version 1.0, we aren't heavily taxing our cluster. Right now it hosts 5 VMs (2 Virtual Appliance, 2 OS X Server, 1 Windows Server). I'd want to add more RAM as well, OS X VMs are very RAM hungry. The OS X servers are a student file server (AFP/SMB) and an Apple Caching server / Munki repository. The Windows server is mostly a test bed, the Virtual Appliances are the aforementioned Informacast manager and VCenter Appliance. [William] - The Mac Pro’s have a maximum amount of memory that it supports, do you plan on expanding the infrastructure to accommodate additional workloads or would you be looking at upgrading to the latest generation of Mac Pro (black)? [Derick] - Honestly, with our current needs and budget, I think I would be looking at the next generation Mac Mini combined with some sort of PCI-E enclosure. Like the Sonnet XMac server. I know the Mini will likely not be fully supported, but I like what i've seen on virtuallyGhetto with the current generation 🙂 That is, if the next gen Mac Mini supports 32GB of RAM! [William] - Very cool! So from your point of view, you would rather have more Mac Mini’s than a couple of Mac Pro’s? It sounds like cost plays a huge factor, but what other constraints or requirements that is making you lean more towards Mac Mini’s instead of going to a new Mac Pro which can get up to 64GB of memory and 6-Core CPU? [Derick] - Footprint - the Mac Pros we currently have take up a large amount of rack space. Even the new mac pros would not be rack mountable without an additional enclosure. For us, having 3 x Mac Mini with 32GB of RAM would be ideal price/performance ratio. (We have a 3 CPU license). Eventually our Mac Pro 5,1's will die, so I'm already thinking about what's next. Having 3 x Mac Mini servers in a cluster, that takes up only 3U would be pretty sweet! [William] - Speaking of support, did you purchase any type of extended contracts with Apple on the hardware or you going to deal with them on a case by case basis? Have you had any issues with failing hardware on the Mac Pro’s? [Derick] - We only had the initial Apple Care (now since expired). We have 1 spare Mac Pro currently running other loads but that could be migrated in the event that we have a hardware failure. We have not had many issues on the Mac Pro 5,1s other than internal hard drive failure. They've been rock solid. [William] - Has there been any interesting issues or challenges you had faced while setting up this infrastructure? Either the hardware, software or managing the VMs? The biggest challenge for me was configuring the Synology for iSCSI-round robin. In my research I found that one could utilize multiple gigabit connections with Multi-path IO for higher bandwidth. After lots of configuring and back and forth with Synology / VMware support, I finally found the proper settings that allowed me to utilize more than 1 gigabit link. However, after I updated to ESXi 5.5, it broke. I was stuck, because I needed to upgrade to 5.5 in order to run an OS X caching server (12-character serial number fix in 5.5). But Synology said the 1813+ was not compatible with 5.5 and would not help me. Long story short, one of my hosts is running 5.5 (with OS X Caching server) and the other host is running 5.1 (file services) because it needs the greater throughput. [William] - Derick, I want thank you for taking the time and sharing with us your experiences with managing VMware and Apple hardware. Before I let you go, do you have any tips for our readers that may be in a similar environment (academic) and needs to build out an infrastructure to support their end users? Any gotchas or things you would recommend if you had to do this all over again? I presently have a DS1813+ with iSCSI-round robin, multipath i/o and ESXi 5.5 working just fine. I was going to say I have the DS1513+ with iSCSI round-robin working as well, documented on my blog. What model NIC are you using?